He offered me a few bottles of the first wine off his block, bottled under his own label. I bought a brace for the Pool Room, and a brace to drink now. Hand picked, crafted and bottled by Clearview Estate off 18mth-old vines, the majority of G’s grapes go into their Kidnappers Syrah. This wine came from a barrel he put aside. He designed and affixed the labels himself. My first impression it was too young to drink now. And on first taste this was borne out. It tasted a bit lean, and tannic again. Lacked the heft a few more years of vine age would bring. But there was flavour and good extract in there, plums and berries, so it showed great promise. Could work up to be brooding, even. And that was a great call. It tasted MUCH better. Lots of fruit showed past the structural textural tannins, it had softened and gained grace and power. 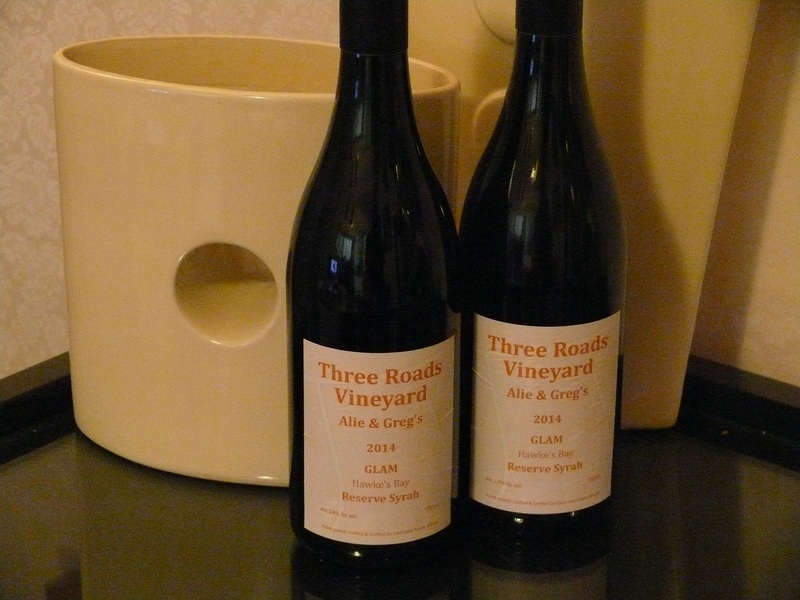 This entry was tagged $$, 14%, 2014, 4, Pool Room, Syrah, Three Roads Vineyard, VG, Wine of New Zealand. Bookmark the permalink.